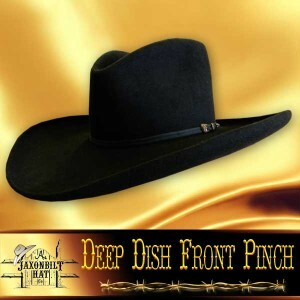 Char gray fur felt hat 4 1/4″ pencil curl brim – with 3 piece black canyon buckle set. 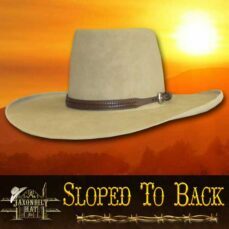 You can have this hat custom styled for you in your choice of crease, color, quality and trim. Wow!! what a change to the traditional Front Pinched Hat. This beauty offers a deep center crease, in addition to the pinched crown. 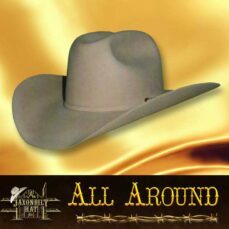 We agree, it is a bit unusual, however the hat offers a million dollar look and our JAXONBILT guarantee. Make your choice of color and quality. Let us build this hat for you.